World Wide Art Books is a publishing house established in 1997 and dedicated to the promotion of contemporary art. With three significant, juried publications, WWAB offers artists the opportunity to publish their work in hardback, coffee-table style anthologies and thus to become members of the WWAB community. Each volume of our publications has a dedicated annual exhibition at the Southern Nevada Museum of Fine Arts, where all artists are invited to exhibit. 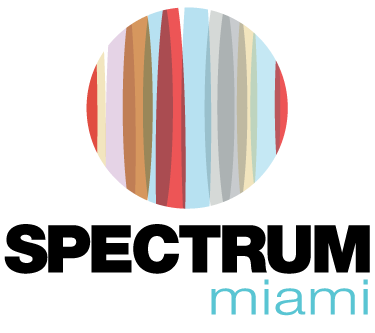 Artists-members of the WWAB are also invited to present work in renowned art fairs that we participate twice every year in Miami and New York. Accredited by the BBB (Better Business Bureau) World Wide Art Books Inc. is an A+ business and has since 1997 published over 8,000 artists. Despina has been a painter for all her adult life, with many international exhibitions to her credit. She was a gallery owner for many years, with the Omma Centers of Contemporary Art in Chania, Crete and Santa Barbara, California. Based now in Santa Barbara, she devotes herself primarily to World Wide Art Books, which brings Despina’s passion for presenting talented artists onto the printed page. With three titles published annually, WWAB provides a notable reference for great, emerging and established, contemporary art. For six successive years, Despina organized an art festival in Chania, Crete, Greece with more than 150 participating international artists each year. She has organized exhibits in Romania, Turkey, London, New York and she annually directs a large show at the Southern Nevada Museum of Fine Arts in Las Vegas. Each year, she represents hundreds of artists in international events and art fairs. In 2014 she directed the organization of World Wide Art Los Angeles, an expo in California that included over 200 artists. Thomas was for many years a co-owner of galleries in Greece and the USA with Despina Tunberg, and also collaborated with her in organizing art festivals and numerous other exhibitions. A writer himself, Thomas studied Art History and Archaeology and has worked in Advertising as a Copywriter and Creative Director. 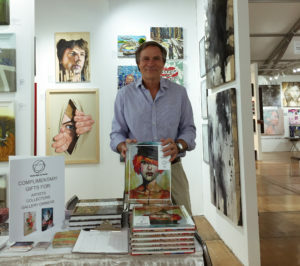 Thomas has been the chief editor and marketing director of World Wide Art Books since its inception. Exercising his passion for photography, Thomas has been instrumental in launching WWAB’s International Master of Photography, an annually published book featuring outstanding work by some 200 master photographers from all over the world.